Ok - here is something beautiful (in every way.) If I were every going to ADORE stationary, now would be the time and these would be the pieces. Peter Pauper Press does Anne of Green Gables. Prince Edward Island. Queen Anne's Lace. Anne. 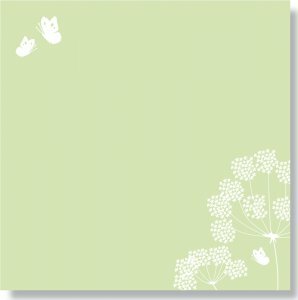 Behold the beauty of the Queen Anne's Lace Note Cards . I shall have to refrain from purchasing any other sort ever again! What says Anne "Carrie" like these note cards? I don't know about you all but I'm always trying to find note cards that express ME and who I am. I need never look further! Anne would approve of this pen, I think. She detested scratchy pens and wrote Gilbert only short notes when the pen was bad. But when the pen was good she felt motivated to write. This pen motivates me to write. It may sound silly and over obsessive, yes. (Yes?) No apologies. Am I not allowed to be thoroughly delighted from time to time? (If not, go away.) If so, read on! Now, I'll be real and confess that I don't typically make a habit out of writing little notes on square pieces of paper that are not sticky. 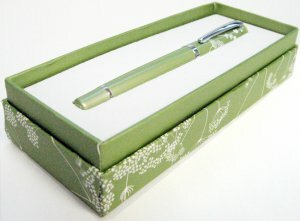 These Queen Anne's Lace Boxed Designer Desk Notes are so pretty though. And I practice using my pen on them. And I wrote a few little notes to stick in books that are being mailed out and packed away in suitcases. They are just so pretty! Did I mentioned I cleaned off my desk for these boxes? I do not want ANYthing distracting from the beauty which are these products. Now. Seriously folks. I can't make up this stuff!! 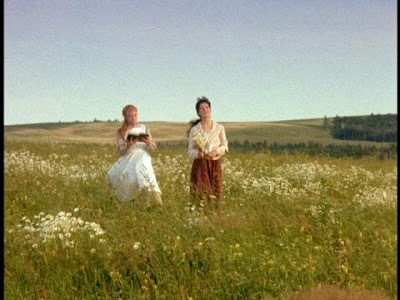 It's incredible and awesome and there's no way in a Queen Anne's Lace world I could wax eloquent on stationary for THIS LONG unless I loved it. 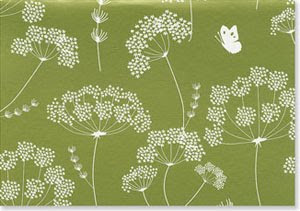 I'm just taking a moment today to express my adoration and love affair with Peter Pauper Press's Queen Anne's Lace line. Because I love it. Because I CARE! Because it's Anne. And mostly - because I'm me. OK! OK! OK! Ya ready!? Peter Pauper Press is very generously offering a package of the notecards and a pen to one of you! U.S. Residents only. This contest will remain open through Wednesday, May 19th. Are you an Anne fan or know someone who is? I love nice pens...count me in! I love note cards. I keep buying really interesting ones even though I don't write note cards all that much any more. But a good pen and a cute note card is motivating. How lovely! I am a fan of both Anne and Queen Anne's Lace. Count me in! Beautiful, Carrie! SIgn me up! That is really pretty stationary! And I enjoyed your commentary on it too. ;) Please throw my name in the hat! Bummer, I would love to have entered! But good luck to everyone else! BEAUTIFUL!! I would love to have this set...love the green! Yes, I'm a big time Anne fan! My online tag is avonleajules. These are beautiful. My daughters and I have always like Anne with an e...and I went to Nova Scotia, but somehow didn't make it to Prince Edward Island..oh my. Please plese pick me.. I seriously heart a good pen for writing letters! :) Also, you made me so curious I had to wiki and see what it's use was. Crazy! Ooooohhh! Those look so lovely, and your gushing enthusiasm is so Anne-like! (That's a compliment, really!) Please enter me, too. Gorgeous! Can't wait to see it in person. BTW ~ I'm a Anne Fan forgot to mention it in first post. This would be wonderful. count me in, please. I LOVE "Anne with an e" and the stationery is adorable. Thanks for the giveaway! Ooh, how nice! Count me in! These are wonderful. I'm an Anne fan. My fingers are crossed. I'm an Anne fan. Please count me in. What beautiful cards! Please enter me. What gorgeous stationery! I love the Anne series. It's been awhile since I've read it so I might have to read it again soon. Count me in and now I am totally an Anne fan. I think that having pretty little dainty feminine things around us always makes us feel good! I love little 'cottage style' and vintage goods and this set is really adorable! Thanks for a great giveaway! These are beautiful. I think my mom would love to have them.